Two months ago, after almost a year of hype, dual core processors made their general public debut. With the release of Intel’s Pentium D 840, those who could afford the best of the best finally saw the benefits that dual core processors bring to the table. Today, with Intel’s release of the Pentium D 820, Intel brings the benefits of dual core processors to the rest of us. What benefits can you expect from Intel’s newest, much hyped processor? Is upgrading from a 5XX or 6XX series processor worth it right now? 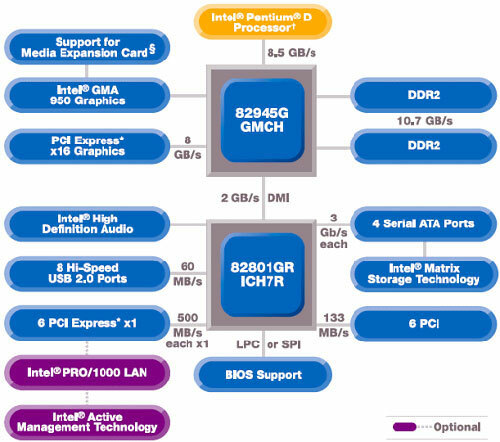 A few notable features, or lack of features, are the absence of hyper threading and the lack of EIST (Which makes sense as the Pentium D 820 is already throttled back to 2.8 GHz). Will the lack of Hyper Threading show much difference in overall performance? We’ll see later on as we test the Pentium D 820 against its bigger brother the Pentium D 840, as well as the Pentium 4 620. With the release of the Pentium D 840, users realized a major drawback to dual core processors, the lack of support with the 915 and 925 chipsets, so those of us who shelled out upwards of $200 a few months ago for a high end 925XE board are basically SOL. 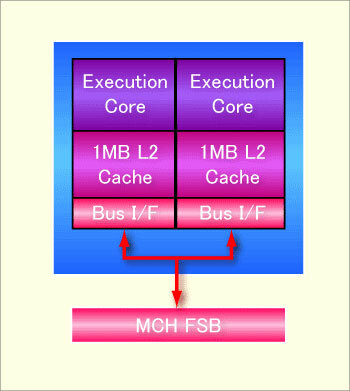 As of right now, only the 945 and 955 chipsets will support dual core processors. Which brings me to the next portion of this review…..the 945 chipset. 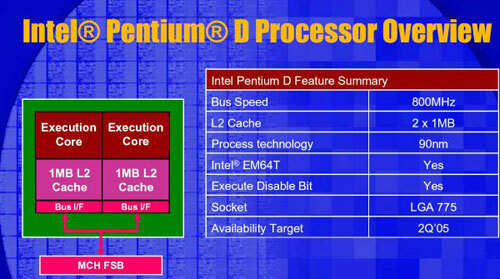 As it did with the Pentium D 840 and 955 chipset, Intel released the Pentium D 820 with its optimized partner, the 945 chipset. Like the 865 and 915 chipsets before it, the 945 is a watered down version of Intel’s current flagship chipset. 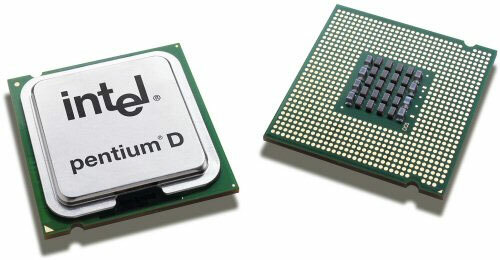 Released in two versions, the “G”, which has integrated graphics, and the “P”, which does not, the 945 chipset incorporates almost all of the features found on its expensive big brother, the main exception being Intel’s patented Memory Pipeline Technology (As Intel states, “Enhanced memory pipelining that enables a higher utilization of each memory channel, accelerating data transfers between the processor and system memory and resulting in higher system performance.”).